GolfMagic tests and reviews the new F9 Speedback driver from Cobra. 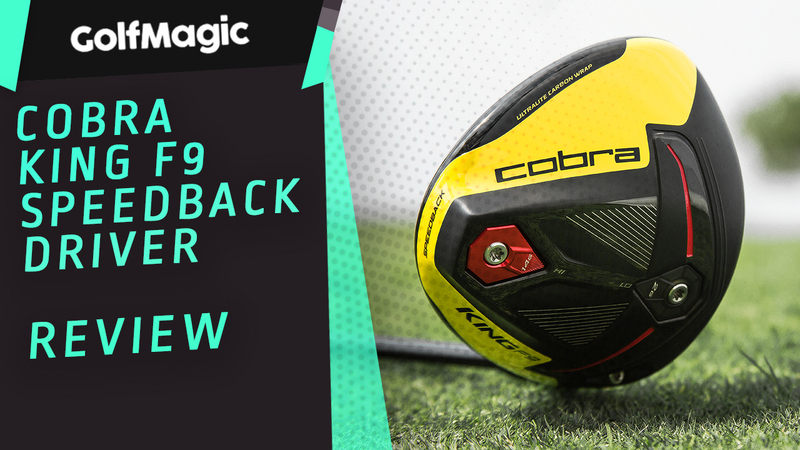 With so much new technology hitting the driver market in 2019, there are a lot of exciting new drivers flying off the shelves, but one that everyone was looking out for was the new King F9 Speedback driver from Cobra. The F9 Speedback driver is already proving an absolute weapon on Tour, with the likes of Bryson DeChambeau and Rickie Fowler bombing it down the fairways. So when this driver arrived at GolfMagic HQ, we couldn't wait to see what it could do. It's safe to say that the F9 Speedback certainly has that WOW factor. The yellow on black colour scheme stands out amongst other drivers in the market this year, but it still looks neat, modern and powerful. The head shape is the best you'll see this year. Of course that's a matter of opinion because different golfers like different heads, but looking down at this driver at address is a thing of beauty. The sound of the F9 Speedback is perfectly balanced. It's a mix between a classic 'ting' youo expect to hear in driver, but with an overpowering 'knock' sound that Tour professionals rave about. The feel is very responsive, if you've hit one out the middle there's no need to even watch where it goes because you can feel and see it. The off-centre strikes can be felt more in the toe than the heel, but you'll know it's a miss-hit either way without looking. Simply phenomenal. We can't boast about the performance of this club enough. Long. Straight. Forgiving. But most importantly, consistent. We've hit some other drivers this year that you might get a few extra yards out of, but none that we have hit so consitently well as the F9 Speedback. It's such an easy driver to hit, but the performance of it makes it feel like one of the most premium drivers on the market. Once you get on a role with this club out on the course, there's no stopping you. The King F9 Speedback received a GolfMagic gold star in our top 10 driver test for a reason. This is without doubt, one of the best drivers on the market this year. If you're looking for consistently long drives at an affordable price, then look no further than the King F9 Speedback from Cobra.